YouPrez Beta - You Can Do It! Set a new precedent. Be the next president. Upload your speech to YouTube. 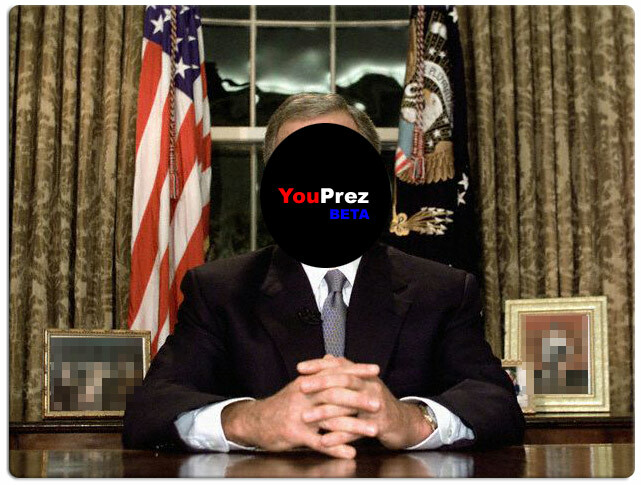 Watch and rate "youprez" videos to vote. ** Some rules and restrictions apply. You must be at least 35 years of age and a natural born citizen of the United States to be president. See the United States Constituion for more details. © 2006 Prez2.0 / Project for a New American Celebrity | "Wagging the long tail since 2006"